Dentures are natural-looking replacement teeth that are removable. There are two types of dentures: full and partial. 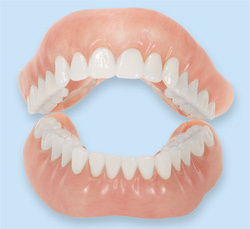 Full dentures are given to patients when all of the natural teeth have been removed. Partial dentures are attached to a metal frame that is connected to your natural teeth and are used to fill in where permanent teeth have been removed. Just like natural teeth, dentures need to be properly cared for. Use a gentle cleanser to brush your dentures, always keep them moist when they’re not in use, and be sure to keep your tongue and gums clean as well. Patients who wear dentures should still come for regular exams to recieve oral cancer screenings, and have their appliances "deep" cleaned. Implants can be a great way to replace your missing teeth, and if properly maintained, can last a very long time! 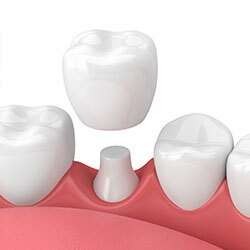 An implant can be placed and a new tooth can be made and attached that looks and functions like your natural tooth. In addition to tooth replacement, implants may be used to anchor full and partial dentures, especially lower dentures that tend to shift when you talk or chew. 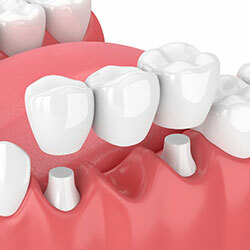 For patients with removable partial or full dentures, implants can increase the stability and retention of your appliance and can significantly improve your chewing ability. 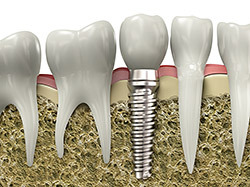 Implants are composed of two main parts: one part is the titanium implant body that takes the place of the missing root, and the second part is the tooth-colored or gold crown that is cemented on top of the implant. 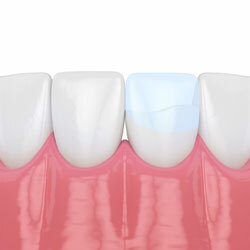 With implant treatment, you can smile confidently knowing no one will ever suspect you have a replacement tooth. 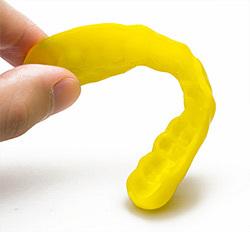 There is an easy, non-invasive treatment for bruxism: nightguards. 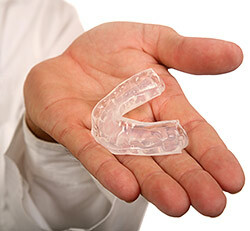 Nightguards are an easy way to prevent the wear and damage that teeth-grinding causes over time. 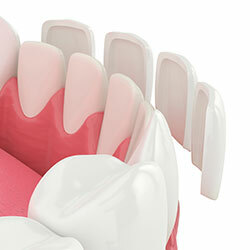 Custom-made by your dentist to fit your teeth, a nightguard is inserted over your top or bottom arch. During treatment, your general dentist or endodontist (a dentist who specializes in problems with the nerves of the teeth) removes the affected tissue. Next, the interior of the tooth will be cleaned and sealed. Finally, the tooth is filled with a dental composite or amalgam. If your tooth has extensive decay, your doctor may suggest placing a crown to strengthen and protect the tooth from breaking. As long as you continue to care for your teeth and gums with regular brushing, flossing, and checkups, your restored tooth can last a lifetime. Dental sealants are resins that bond and harden in the deep grooves on your tooth’s surface. 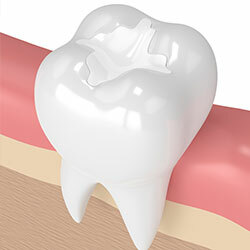 When a tooth is sealed, the tiny grooves become smooth and are less likely to harbor plaque. With sealants, brushing your teeth becomes easier and more effective against tooth decay.